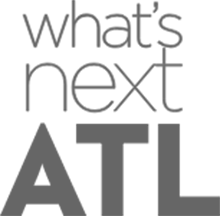 Dive into this practical toolkit to help us tell the world how ATL is here, now and next. Download free-to-use photos, graphics and videos that capture the true vibrancy of ATL. Find quotes from community leaders, CEOs, students and more as they share why they love ATL. Discover how our neighborhoods capture the diverse culture of our region. One shared Ambition: Never stop Rising. Help Tell Metro Atlanta’s Story. Metro Atlanta’s story is inspiring and ever-growing. In order to help the world understand what sets us apart, we’ve developed a narrative and message framework that you’re free to use when talking about ATL. We also maintain an up-to-date and searchable database of facts and rankings about our region. We’ve collected photos and videos that showcase what makes ATL special. These assets are courtesy of regional ambassadors passionate about telling metro Atlanta's story. These items are free-to-use when promoting our region. If you’d like to use them for commercial purposes, please contact us for licensing details. If you'd like to submit a photo, please email atlbrandbox@macoc.com. The people who tell our story best are the ones who call it home. Here are some quotes from prominent leaders and residents about Atlanta. Tony Ressler, Principal Owner and Chair, Atlanta Hawks Basketball Club, and Co-Founder, Chairman and CEO of Ares Management L.P.
Metro Atlanta is a diverse body of neighborhoods and people that come together as one. When you choose ATL, you’re choosing a family and a home. Southern charm and modern ideas meet at the crossroads to create the perfect mix of careers, community, and culture. Check out our printable guide to Metro Atlanta’s neighborhoods. Which neighborhood is right for you? Check out our list to find the perfect fit. Get ATL-branded mugs, phone cases and more. Now you can rep Atlanta wherever you go. Check out our new threadless shop and get your hands on v-necks, sweaters, tank tops and hoodies the whole family will love. Created in Atlanta, Made for the World. Explore Atlanta’s culture through the lens of our top creators, entrepreneurs, filmmakers and artists. Subscribe to receive email updates as the ATL Brand Box grows. Metro Atlanta has a strong story to tell, and there has never been a better time to tell it. We combined years of comprehensive research with input from partners across metro Atlanta’s 29-county region to develop the ATL Brand Box. This free toolbox is a collection of assets available to everyone working to promote the region and show the world that Atlanta is here, now and next. We hope you’re inspired by what you find and that you’ll continue to visit this page as we grow the asset library. If you are interested in contributing content, have questions or just want to let us know what you think, contact us at atlbrandbox@macoc.com. The content below was last updated: September 2018. For additional resources, you can visit the Metro Atlanta Chamber website. “The city of Atlanta has always had a good spirit.” — Ivan Allen, Jr.
“I’ve noticed that there are less obstacles to getting things done in Atlanta. It is a city with a lot to prove and wants to compete with the cities on the East Coast and West Coast, so the little things that can get in the way aren’t a factor in Atlanta. It is a city that has been on a tremendous growth curve for decades and is not making the mistakes that usually cause a city to lose its edge. The diversified economy, the acceptance of newcomers, positive views towards business and business success, and strong leadership from local business leaders go a long way towards preserving that. My wife and I keep spreading the word to our friends in New York, San Francisco, Boston, etc.” — John Cote, CEO, Industrial Inspection & Analysis, Inc.
“The Atlanta market is booming – the quality of life, the cost of living, the ability to attract companies. It’s extraordinary in terms of growth in the metro Atlanta market.” — Tony Ressler, Principal Owner and Chair, Atlanta Hawks Basketball Club, and Co-Founder, Chairman and CEO of Ares Management L.P.